Sportfish (‘us’ or ‘we’) is a trading name of Farlows Limited, which is registered in England No. 03549429. Our VAT number is 762 4465 20 and our registered office is 9 Pall Mall, London, SW1Y 5NP. The term ‘you’ refers to the user or viewer of our website. 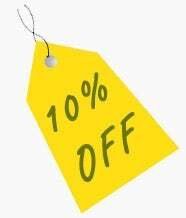 EASTER OFFER - We are offering a 10% discount* on all online, mail order and in-store purchases made before midnight on Easter Monday, 22nd April 2019. To claim your discount, just use coupon code ES10 at the online checkout, quote it via telephone for mail order, or show this email in-store at either Reading or Winforton. *Offer valid at Sportfish only and ends midnight Monday 22nd April 2019. Offer is not valid with any other promotion and excludes gift vouchers, tuition products and items already discounted or on sale. The content within this website is for your general information and use. Whilst we always try to ensure the information is correct and kept up-to-date, we make no guarantees of any kind, express or implied, about the completeness, accuracy, reliability, suitability or availability with respect to the website or the information, products, services, or related graphics provided on the website for any purpose. You place reliance on such information strictly at your own discretion. Content contained within this website is subject to change without notice. Prices displayed on this website include VAT at the current rate, where appropriate. The standard rate of VAT is currently 20% within the UK & EU. Although we offer a currency conversion facility, all payments are settled in GBP (British Pound). We reserve the right to amend the price of any item or to withdraw an item from sale at any time, even if an order exists. This website contains content that either belongs to or is licensed to us. All images and content on this site are subject to copyright and must not be used elsewhere without prior consent. Some images used on this website may show products that we do not sell but are used as props for photography and some images may be used for illustration purposes only. Use of any information, images or material on this website is entirely at your own risk, for which we shall not be liable. It is your own responsibility to ensure that any products, services or information available through this website meet your specific requirements. We make every effort to ensure the website is kept up and running smoothly. However, Sportfish take no responsibility for, and will not be liable for, the website being temporarily unavailable due to technical issues beyond our control. Please be assured that any issues will be investigated and resolved urgently. Making a purchase is simple. Browse our online shop, add the desired items to your basket, then either review your shopping basket or proceed directly to the checkout. To place an order you are required to complete our simple checkout process; you will be guided through the required stages and asked to input your data to complete the transaction. Please ensure you pay full attention and ensure your details are correct before placing an order. Upon placing your order, we will send you an order acknowledgement email which advises you that we’ve received your order request and will provide you with a reference number. You may also place orders via telephone, fax or post. When your order is ready, we will send you a despatch confirmation email. It is at this point that we accept your order, you are charged and the contract between Sportfish and yourself is formed. All orders are subject to availability and we reserve the right to cancel an order should there be an issue with stock levels or payment details, or the identification of a pricing or product description error. All purchases take place in a safe environment using the latest SSL (Secure Sockets Layer) encryption technology and our secure server. We accept most credit/debit card payment and PayPal. If you are shopping from abroad, please note we will charge you in GBP and your card issuer will convert this from their end. We do not charge for any item until it is ready to despatch. We will not supply knives or potentially offensive articles to anyone under the age of 18 years. Furthermore, it is an offence for anyone under the age of 18 years to purchase or attempt to purchase such items. By ticking the box you are confirming you are over 18 and agree to our terms and conditions. If your item is not in stock, we will notify you and back order it for you. Please contact us immediately if you do not wish for this to happen. Back ordered items are not charged until they are shipped, and if a back ordered item is part of a larger order that you have already received, no additional postage will be charged. Sportfish shall not be liable in any way for any loss or damage arising directly or indirectly for the delivery of goods being delayed, prevented or for any other reason beyond our control including the acts of any third parties we use to fulfil an order or service. Furthermore, in no event will we be liable for any loss or damage including without limitation, indirect or consequential loss or damage, or any loss or damage whatsoever whether arising from loss of data, loss of profits or loss of revenue in connection with the use of this website. Sportfish will deliver ordered goods to the delivery address supplied whilst submitting an order. Availability permitting, orders will despatched for delivery within the stated time frame. The despatch of goods constitutes our duty of fulfilling the contract. If you receive delivery notification but no delivery has been made, or are unfortunate to receive a damaged item, please contact our customer service team immediately. This will allow us to assist you immediately and arrange a replacement or refund where applicable. With any delivery we do advise that you check the goods upon arrival before signing for the delivery. We can accept no liability for costs incurred by late deliveries, or for any other reason. If you refuse a delivery for damage or other reasons, please notify our customer service team immediately. For more information and for charges, please see our delivery schedule. We want you to be happy with everything you buy from us. If you are not completely satisfied with any of the goods you have purchased then please notify us immediately and return them to us within 28 days for a full refund. Full details can be found on our refunds & returns policy. Sportfish has the discretion to update our terms and conditions at any time. If any changes are made we will revise the updated date at the bottom of this page. We encourage users to frequently check this page for any changes to stay informed. You acknowledge and agree that it is your responsibility to review our terms and conditions periodically and become aware of modifications.